The Executive Committee (EC) of the National Mission for Clean Ganga (NMCG) has approved ten projects worth Rs 1573.28 crore. In a meeting held yesterday in the presence of Union Minister for Water Resources, River Development and Ganga Rejuvenation, Road Transport and Highwaysm and Shipping Shri Nitin Gadkari and UP Chief Minister Yogi Adityanath, , it was decided that a comprehensive solution needed to be worked out to address Yamuna’s pollution issues in Agra. The project for Rehabilitation / Renovation of Agra Sewerage Scheme (Interception & Diversion Works) has been conceived at a total cost of Rs. 857.26 crore including O&M cost for 15 years. 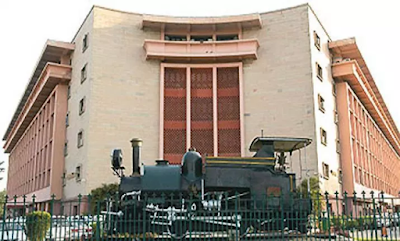 The major components of the project include tapping of 61 nalas/drains, construction of 3 Sewerage Treatment Plant (STP’s) of total capacity 166 MLD, construction of 10 decentralized STPs of 9.38 MLD and renovation of 2 existing STPs, laying of rising main of 17.61 km, renovation of Sewage Pumping Station (SPS), renovation of STPs renovation of interception work, up-gradation of STPs (for chlorination), and operation & maintenance for 15 years. These projects are expected to drastically reduce pollution load from Agra city into the river Yamuna, helping to save the Taj Mahal and leading to improvement of river water quality, ground water quality and overall aesthetics of the area. Interception & Diversion works (I&D) and Sewage Treatment Plant at Kasganj were also approved by the Executive Committee at a cost of Rs. 76.73 crore. The project envisages construction of 2 I&D structures, network laying of the length of 2.8 KM and 15 MLD capacity STP. The cost of the project includes O&M for 15 years. Presently, there is no sewerage system in Kasganj, the wastewater is discharged into open drains that finally meet River Kali and contribute to pollution of the river. Under this project, all drains meeting Kali river will be tapped and the wastewater shall be carried out through pumping/Gravity flow to the proposed STP for treatment. Interception & Diversion works (I&D) and Sewage Treatment Plant at Sultanpur, Uttar Pradesh were approved by EC at a total project cost of Rs.64.76 plus O&M costs for 15 years and includes construction of 7 MLD new STP, Up-gradation of existing 5 MLD WSP to 10 MLD aerated lagoon STP, 6 I&D structures for drains, an 8 Km Network. Sultanpur is located on the banks of Gomti River and the waste of the town is conveyed through six drains in the town. These drains outfall into Gomti River resulting in pollution in the River. It is therefore necessary that the drains are Intercepted/ Diverted, treatment of Sewage/Sludge and effluent with permissible limits discharged into Gomti River. The EC approved projects worth Rs. 328.52 crore in Chhapra, Fatuha, Bakhtiyarpur and Khagaria in Bihar. Chhapra I&D and STP Project was also given the go ahead. The total cost of Rs. 236.15 Crore includes STP – 32 MLD,3 1 I&D structures for drains, Intercepting Sewer, 5 New IPS. The proposal intends to develop an Interception & Diversion and Sewage Treatment Plant (STP) of 32 MLD (in 2 modules of 16 MLD each) capacity at Chhapra town at the site of the old STP, for the treatment of the sewage generated from Chhapra town which currently finds its way into river Ghaghra and Ganga. On implementation of the project the discharge of untreated sewage will be avoided from Chhapra Town into the River. Fatuha I&D and STP Project has been approved at a total cost of Rs.35.49 Crore and includes a 7 MLD STP, 19 I&D structures for drains etc for the treatment of the sewage generated from Fatuha town which currently finds its way into river Ganga. The proposed STP project includes re-use of treated waste water for irrigation purpose. On implementation the project will lead to reduced pollution load into the river Ganga. Bakhtiyarpur I&D and STP Project was approved at a total cost of Rs.35.88 Crore and includes a 10 MLD STP, 6 I&D structures for drains etc. 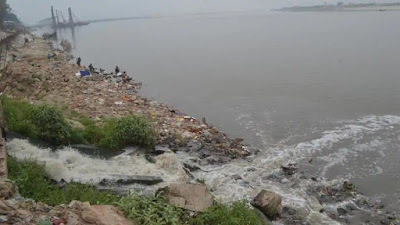 Presently, the sewage generated from Bakhtiyapur town finds its way into river Ganga. Once the project is completed untreated sewage will no longer flow directly into the river Ganga. I&D works including pumping stations and STPs under Burdwan Municipality, in West-Bengal has been approved at a total project cost of Rs.234.31 and includes 50 MLD STP, 19 KM Network,1 Main Pumping Station (MPS). Burdwan, is the headquarter of Purba Bardhaman district. From the standpoint of river Ganga pollution, Burdwan is not located immediately by the bank of River Ganga. Yet, untreated wastewater from this town makes its way to the river through Banka River and ultimately contributes to the pollution load in River Ganga. There is no centralized sewerage system in the town and is currently facing serious sanitation problems. The entire wastewater from the upper and lower part of the municipal town flows into Banka River through surface drains. 38 main outfalls have been identified. Therefore, all the outfalls to Banka River must be Intercepted and Diverted to proposed lift stations (LS), MPS and the proposed Sewage Treatment Plant (STP). Sewerage scheme for Zone-II and III of Paonta Town, Himachal Pradesh was approved at a total project cost of Rs.11.57 crore and includes new 1.72 MLD STP, Minor repair & filter in existing 0.44 MLD STP (Extended Aeration) and 1.0 MLD (Extended Aeration), 30 KLD Septage Handling unit. Paonta Town, home to the renowned Paonta Sahib Gurudwara, is situated on the banks of the river Yamuna. The river is the boundary between the states of Himachal Pradesh and Uttarakhand. The Paonta Sahib city is divided into 11 wards. The scheme is envisaged in three zones.